The 6:30pm CrossFit Class and 6:30pm CrossFit Kids Class will be canceled tomorrow, Monday, October 31st for Halloween. Have a safe and Happy Halloween! Ed is the best. He doesn’t mess around. He comes right in to his and Michelle’s spot. Then wham, bam, thank you man! 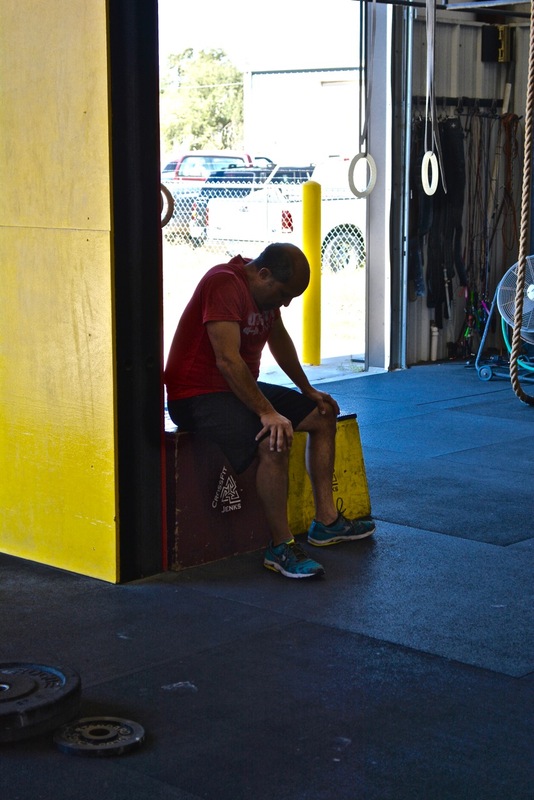 He blazes through the WOD and if it is a running WOD you better be double prepared for Ed or you may end up dead! Keep rocking it Ed. Many thanks also to Royce and Cindi for hosting. Tons of fun!